Engineered to accommodate the limited space in a hilt. Bezel has a simple flat edge. 5 Colors: Anodized Brass, Anodize Red, Anodize Black, Natural Stainless Steel, Anodize Copper. 12mm total height. 14mm bezel. 9mm button. 12mm mounting diameter. Water resistant. 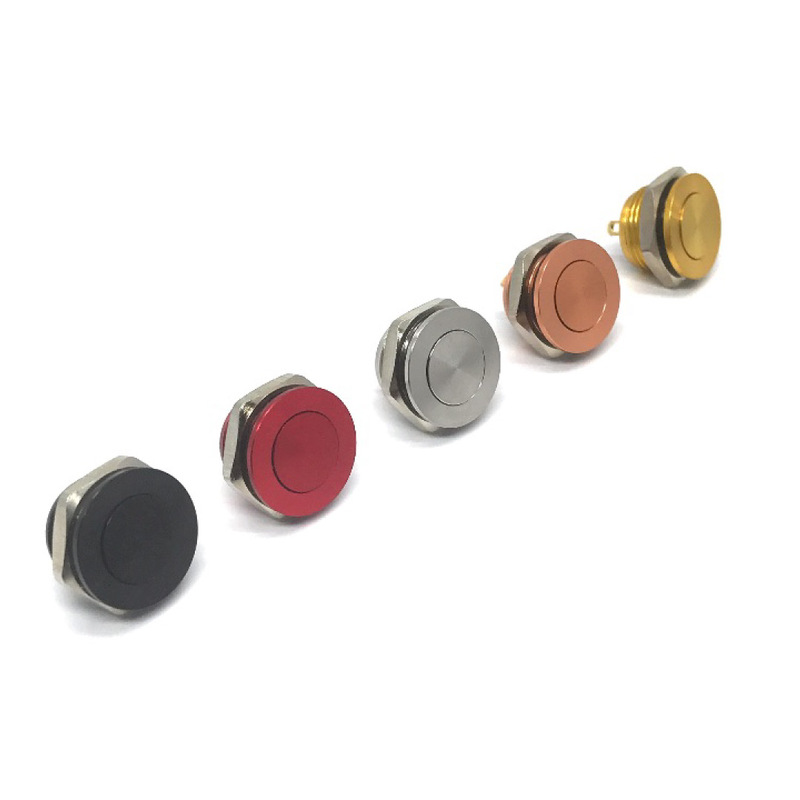 Flat anodized tactile stainless steel push button with reduced clicky sound. Button is flush flat to bezel. Sleek look and comfortable push button. Must locate finger to push. So no accidental misfires. Also only 10mm into a hilt. Drag left or right to view 360 degrees!